Do you want to know how to get to the Shangria Beach Hotel? There are many ways you can get to Shangria Beach Hotel such as public transportation (bus, subway / metro), taxi and Blacklink limo/transfer/shuttle service. Don't sweat outside waiting for other transportation with your luggage. Make a round trip reservation with Blacklink as you plan for your trip. It is easy, convenient and available 24/7. Then, the assigned Blacklink driver will greet you at the arrival and will drive you to the Shangria Beach Hotel. You can use Blacklink for not only hotel but also Gimpo Airport (GMP), Myeongdong, Jongno-gu, guesthouse, resort, airbnb, lodging and anywhere you want to go in Korea. Check out Blacklink customer review posted below. 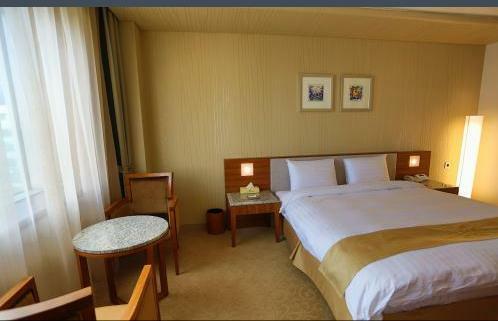 Located in Mokpo, Shangria Beach Hotel is a short drive from the Mokpo Modern History Museum and Yudalsan. 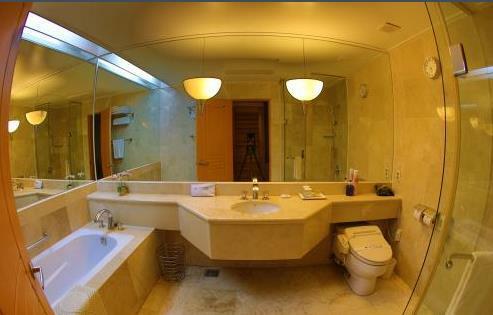 Guests can also enjoy complimentary internet throughout the property. There are a variety of amenities available to those staying at the hotel, including 24-hour room service, a coffee bar and valet parking. Additional services include a laundry service. 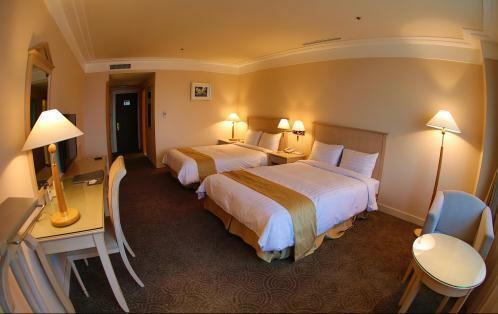 Shangria Beach Hotel has 71 rooms offering all the essentials to ensure a comfortable stay. Those staying at the hotel can sit down to a unique dining experience at the in-house restaurant, suitably situated for those who want to stay close by when looking to sit down to a meal. 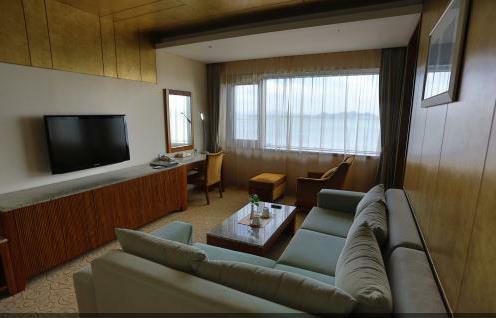 Shangria Beach Hotel is situated amongst the area's sightseeing attractions, including the Mokpo Natural History Museum, which is within walking distance. Muan International Airport is a 45-minute drive away. Wolchulsan National Park is located in the southern part of Korea. 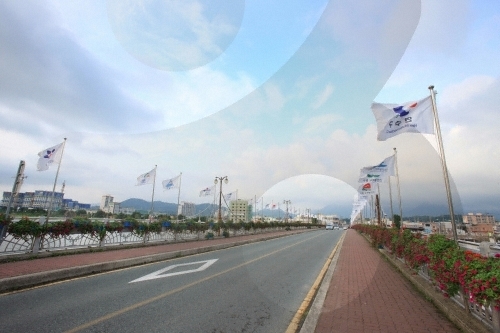 The name Wolchulsan means "mountain where the moon rises." Starting with the Cheonhwangbong Peak (809m) at the center, the whole area is filled with rocky mountain peaks which all look special and unique. 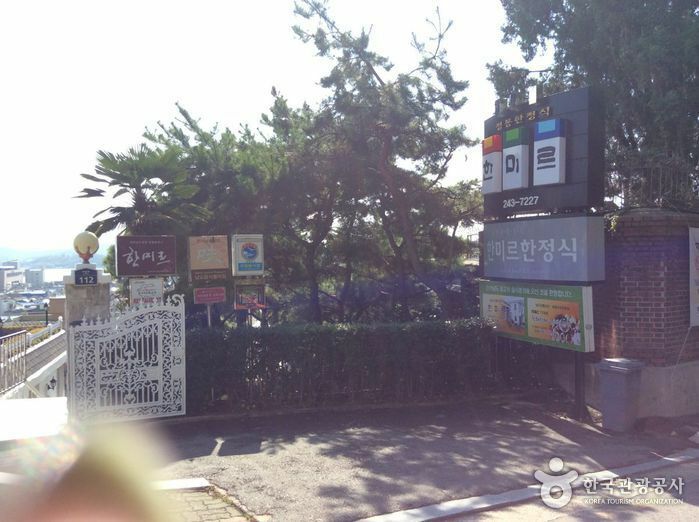 Walk for about 20 minutes past the National Park's parking lot and Dogapsa Temple, and the entrance to Wolchulsan comes in to view. 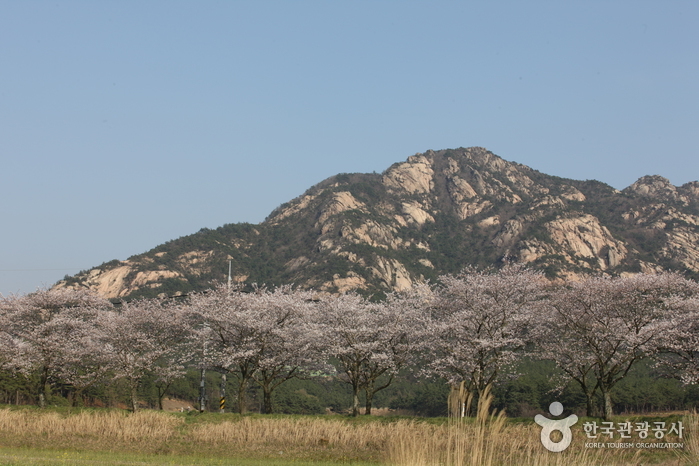 About 5km beyond the gate, you can see Gujeolbong Peak, shaped like nine large pots. Because this place always has water, it is said that a dragon used to live here. Another 500m further along you can see Maaeyeoraejwasang, a sitting Buddha statue, which is designated National Treasure No. 144. Just beyond the statue a path leading to the top passes through a lush green forest. The most beloved breed of dog in Korea is the Jindo Dog (진도개), named after the island from which they are said to originate. The breed has been designated a national treasure, and great efforts are made to keep the bloodline pure. For example, any non-Jindo dog that comes to Jindo Island must be sterile. Jindos were originally hunting dogs, raised to take down small to large sized prey. They are known for their extreme loyalty and keen homing sense. Traditionally Koreans hunted without guns, instead taking with them a pack of Jindos. After making a kill, one dog promptly returns to the master while the others stand guard over the prey. The Jindo dog is registered with the Federation Cynologique Internationale and the British Kennel Club. Nestled at the foot of Yudalsan Mountain, Hanmir serves Korean dishes such as samhap (fermented skate and steamed pork slices served with kimchi), raw fish caught from the sea, jjim (braised seafood), and Sinseollo (casserole dish) added as royal cuisine. 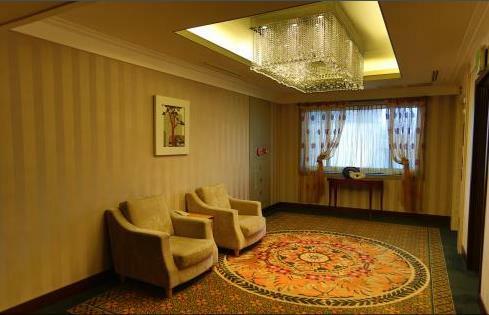 It is perfect for business meetings and group visitors who wish to enjoy han-jeongsik (Korean Table d'hote). Songjeong is famous for its tteokgalbi (grilled short rib meat patties), which is one of the five best food items of Gwangju. 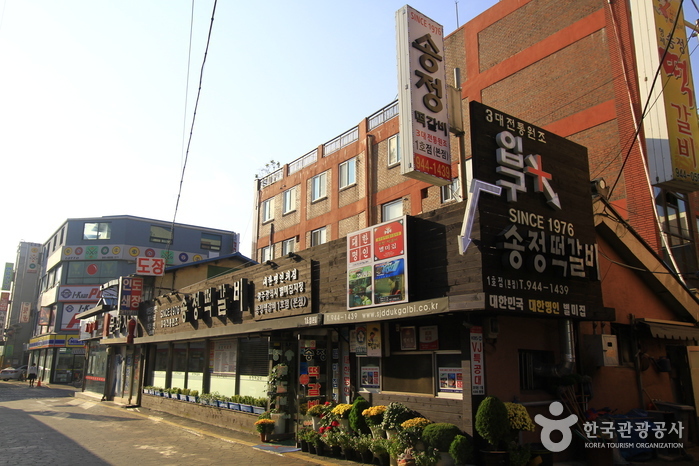 There are many tteokgalbi restaurants around Gwangsan district office, but Songjeong’s history goes back to 1976 and it is still the original. A good tteokgalbi is made by mixing the meat of beef short ribs and pork bone ribs in a one-to-one ratio and adding acacia honey to make the meat both tender and chewy. The dish is also reasonably priced. The secret to the delicious meat is the sauce, which is made with about 20 natural ingredients like kelp, radish, and green onion and no artificial seasonings. Also a pride of the restaurant is the broth made from pork bones which comes with the tteokgalbi. Yeongan Hoetjip is a raw fish restaurant serving a variety of fish dishes. The most popular dishes are raw croaker fish, spicy croaker fish stew, and live octopus, which is famous in the region. Mokpo Specialty Seafood Market is a modern seafood market built in the location of the previous Dongmyeong-dong Fish Market. 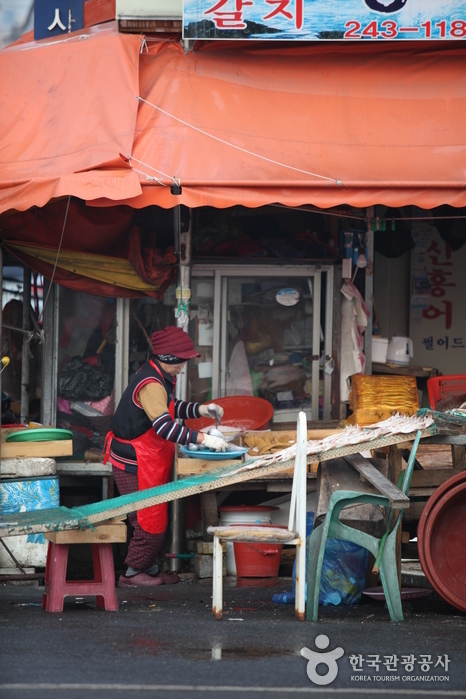 The market has parking for the convenience of shoppers, as well as 125 stalls selling everything from fresh fish for sashimi, dried fish, and fermented fish. Jeongnamjin Jangheung Saturday Market is the nation's first weekend market, selling produce, locally grown beef, and other specialty products. 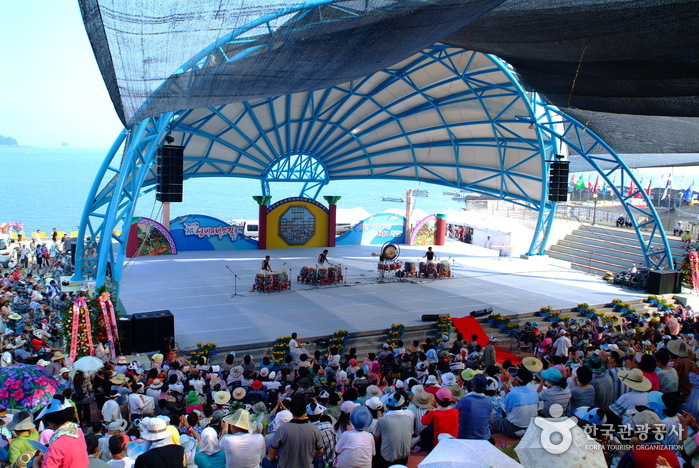 A permanent stage within the market also provides a venue for dynamic performances and concerts, making a trip to this marketplace exciting. Songjeong Station Market was opened in 1913, in connection with the opening of Gwangju-Songjeong Station. For many years, the market was the go-to-place for necessary items and produce, but with the increase of large marts in the 1990s, people began to visit traditional markets less and less. In order to increase the liveliness of Songjeong Station Market and showcase the difference between large marts and a traditional market, the entire space was redesigned around the theme of time. The newly redesigned 1913 Songjeong Station Market, located just across the street from Gwangju-Songjeong KTX Station, has a bright appearance with modern-styled architecture and signboards detailing the history of the various shops. Visitors can enjoy all the classic market foods here, such as hotteok (hot griddle cakes), gyeran bap (rice with egg), and eomuk (fisk cake).